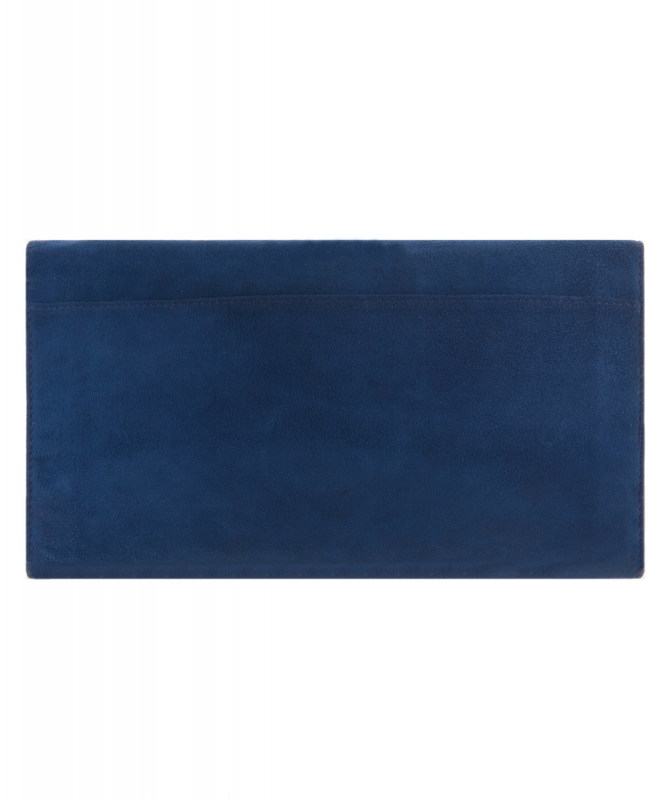 Blue suede oversized fold-over clutch with gold-tone designer-embossed flip-lock closure at front. Mulberry clutch has an internal designer-embossed tab and is fully lined in black. Mulberry was established in rural Somerset, England in 1971. As Britain’s first lifestyle brand it was popular at home an abroad for its quintessentially English style and personality. During the seventies and eighties a collection of quilted fishing bags, poaching bags and jackets inspired by the quirky country pursuits of hunting, shooting and fishing put Mulberry on the fashion map: Le Style Anglais was born. After this initial success, Mulberry continued to create season after season of iconic products and the brand grew throughout the UK and expanded internationally. The start of the 21st century saw the birth of one of its biggest icons, the Bayswater, and many years and reincarnations later it is still the best-selling style. Today, the business has stores and concessions worldwide and yet has retained so much of its individuality and integrity – the close-knit teams, the factory in Somerset, the quality leathers, the English practicality of its products and the enthusiastic theming of seasons, loved by press and buyers the world over.